Articles > Attracting and on-boarding people: what really works? Attracting and on-boarding people: what really works? As signs of recovery bring recruitment and on-boarding into sharp focus across all sectors, Consult-HR and Stuart Allan at Hammerson plc hosted a group of HR and talent leaders, to explore how to attract the people they need for the future. With many of their organisations seeking to transform themselves for what lies ahead, the group also asked how they could enable talented new hires to board a vehicle moving at full pelt in a new direction. How does your organisation attract the right people – those who will really contribute, be in it for the long haul and build the future? Michael O’Keeffe from The Innovation Beehive described how to use employee value propositions (EVPs) to define the deal you offer – what you get from an employee in return for what you give as an employer. Creating clarity about what employees value in an organisation or a role means you can make a clear employment offer that attracts, motivates and retains the right people. He described the power of applying customer insight techniques, common in marketing, to build an employee brand that really resonates – talking to people on the front line about why they like their job and the organisation, and then building in 20% stretch to reflect aspirations of what that experience could be. This stretch can link to strategic initiatives, like BP’s Customer Mania, and help find the people who will deliver the organisation’s ambitions and evolve its DNA. Julia Lence from BP outlined how they used this approach with UK BP Retail, to decrease turnover and improve staff satisfaction and customer service. Developing the EVP collaboratively with staff helped them to own it and also generated some surprising insights. Roles that the executive team had viewed as tough due to the constant workload took a positive spin: “It’s never boring here”. The process of developing an EVP can also surface some uncomfortable home truths about what life is really like within an organisation. The senior team needs to be ready to hear this and find ways to respond. While your EVP needs to have some aspiration in the mix, it’s a kind of brand promise and needs to be tested against reality. Promising more than you can deliver to potential employees sets everyone up for disappointment and can be a costly error. Once BP had developed its proposition, it breathed life into it with some practical tools, such as an online recruitment tool, and actions to bring the values to life, such as holding senior leadership meetings out at terminals and renaming Head Office as the Support Centre. Michael O’Keeffe’s advice is to continually find ways to communicate and reinforce your EVP through the words you choose, iconic actions which make a statement, physical working environment and people processes. Around the table it was striking how many large organisations did not have a clearly defined EVP, resulting in mixed and ultimately muted messages in the job market. Michelle Lawton of Consult-HR saw this reflected in briefs for senior roles. Functional skill and experience requirements tend to be well-defined, but cultural fit was often conveyed off-the-cuff by the hiring manager and missed the opportunity to send clear and consistent signals that attract the right people. Once you’ve attracted a great person, how do you get their talents in play? Mike Vessey from MDV Consulting said that in many organisations: “People think that if you find a person with the right skills and track record, and put them in the right place, they will be successful. Sadly this is all too often not the case.” Research confirms that around 40-50% of senior outside hires fail to achieve desired results and the odds aren’t much better on people promoted internally. Common traps are leaders who see superficial similarities between the new situation and their last and recycle their previous approach, as well as organisations that recruit for skills and approaches they are lacking but find them hard to swallow when faced with them day-to-day. 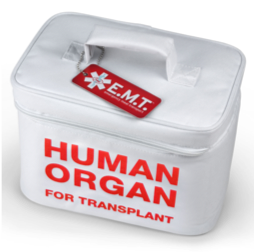 Mike likened the new hire transition to an organ transplant – both the organ and the body need support to ensure neither is rejected by the other. And both need time to adjust and recover: the individual and their new boss, colleagues, customers and team. This means organisations need to think systemically about all stakeholders and how to enable the vital new organ to thrive and serve its purpose. Typically it takes six months for a new leader to break even – for the contribution they make to pay back the investment they consume through on-boarding. Putting together the potential opportunity cost of underperformance, or worse, the individual’s failure leading to interim and replacements costs, plus the impact on engagement and productivity in the wider team, the business case for managing transitions is clear. Rachel Walden from Halliburton pointed to the assessment process as vital to helping someone land. Beyond ensuring the right choice, the process needs to enable the potential hire to touch enough stakeholders to get a feel for the real EVP, and for those stakeholders to feel part of the decision. At G4S, on-boarding begins before the person starts, with the individual and the organisation both laying the groundwork for a good start. More broadly, good baton passes between recruitment, L&D and HRBPs are key to success, and this is being built into processes at organisations like London Stock Exchange Group. 1. Develop collaboratively, using consumer insight techniques. 2. 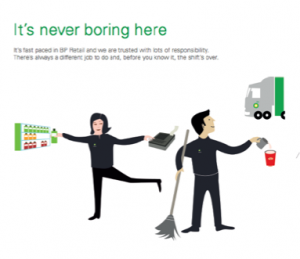 Test out – does it reflect reality, is it appealing to the right people. 3. Communicate and reinforce continually in words, iconic actions, working environment, and people processes. 4. Take it out into the market and use it to send strong signals. 5. Transitions start with an ending – help people let go of old responsibilities and habits. 6. Use stories to help new people absorb the culture. 7. Think systemically about how to support people in transition.